Stirred with ice, strained into an old fashion rocks glass with a giant cube. Garnished with Orange/Cherry flag. The cherry I used was a Griottine cherry. This drink is amazing. I personally love the old fashion cocktail. This one brings it to a different level. The taste is smooth and complex. I find the original old fashion to be a tad bit raw because of the bourbon content, which is great. 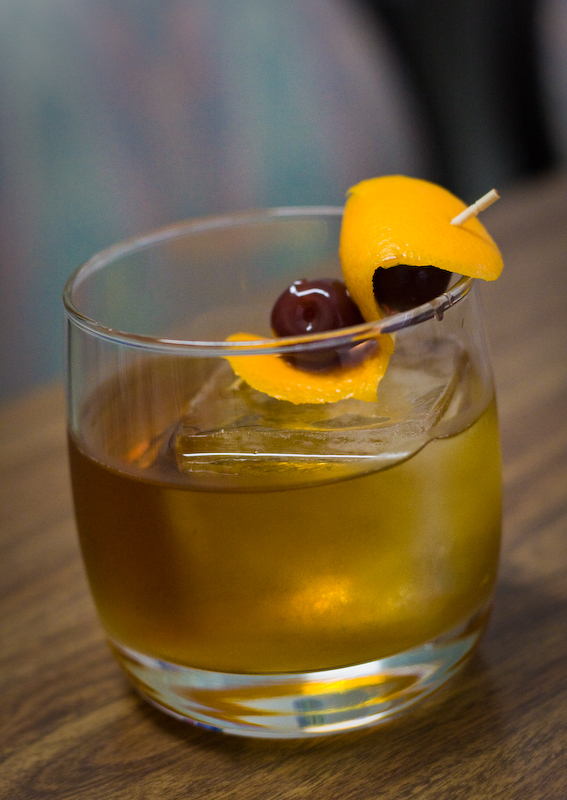 But in the Cubed old fashion, the drink is smoothed out by the Cognac and Rum. The bitters also add a nice touch to the drink. Feel free to experiment by using more Chocolate bitters or even other flavors! Note: The ingredients I used varied slightly from the original. The ingredients I used are easier to find. Also, the original calls for a homemade Old Fashion syrup which would definitely put a better taste to the drink. Shake and Strain. Shake it up real nice, it’s a strong drink and you sort of want a little bit of the ice to melt to bring out the floral notes of the Gin. Garnish with a large thin lemon peel. Make sure you zest the lemon before dropping it in! 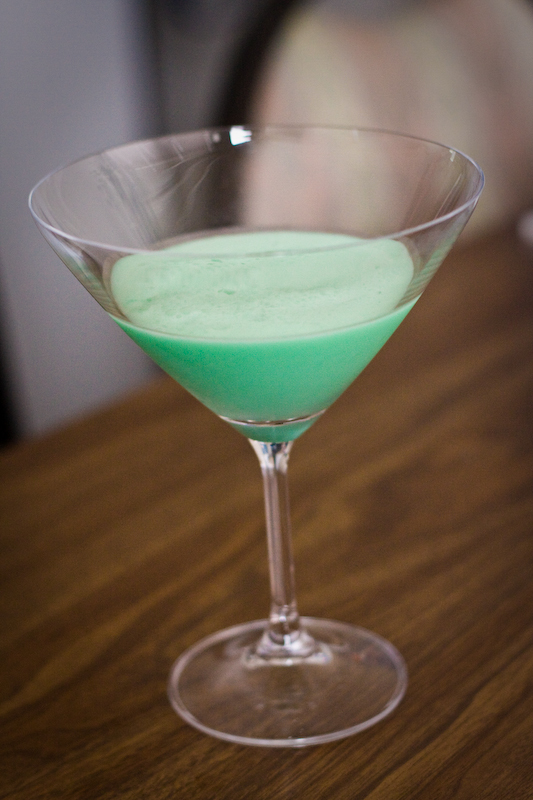 This famous drink was created by Ian Fleming – James Bond in the book Casino Royale. 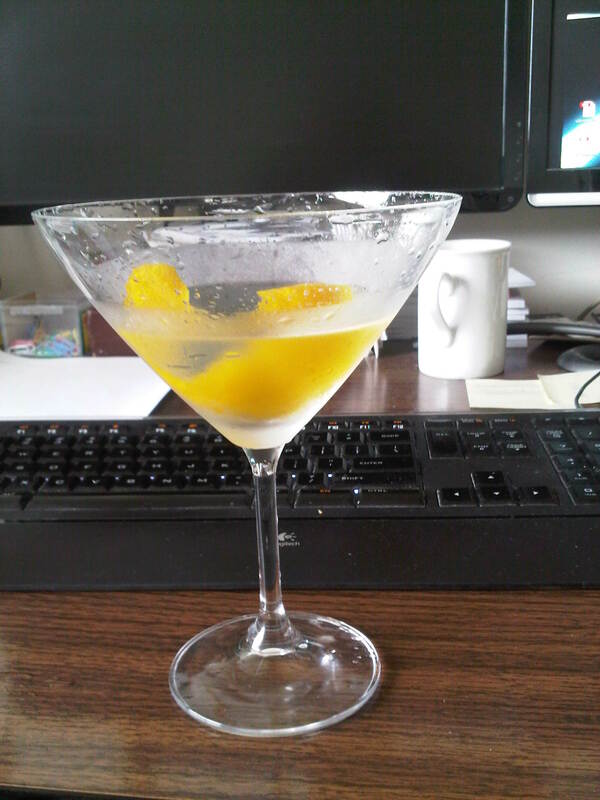 Normally Martinis with all alcohol ingredients are stirred as to avoid “bruising” the drink. However, after James Bond created this drink; snobs have started ordering martinis “shaken, not stirred”. There’s a little history lesson for you all. If you do prefer your Martini shaken and not stirred. Just order it as a “Bruised Martini” to avoid looking like an fool. On a side note, Kina Lillet no longer exists. 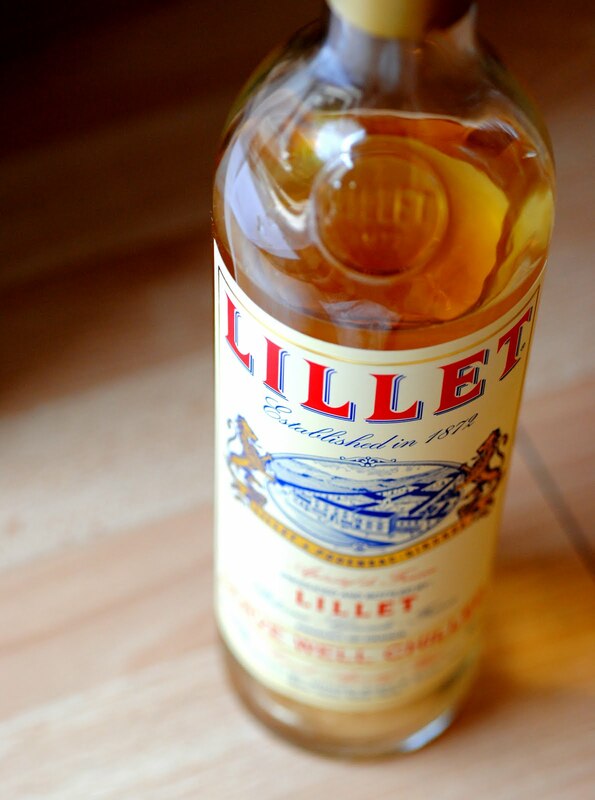 It goes under the name Lillet Blanc (White). I believe this change was due to a slight change in the original recipe and also for marketing purposes. Here’s a photo I found online. Put ingredients into shaker tin (excluding the soda water). Do a dry shake, you’ll want to shake it really well. Add the ice and re-shake to chill the drink and then double strain into a zombie glass. Next top off the glass with the soda water. The soda water acts to help create a more “stable” foam. Garnish with a straw and lime (optional). Also note that you should chill the glass beforehand as there’s no ice in this drink. 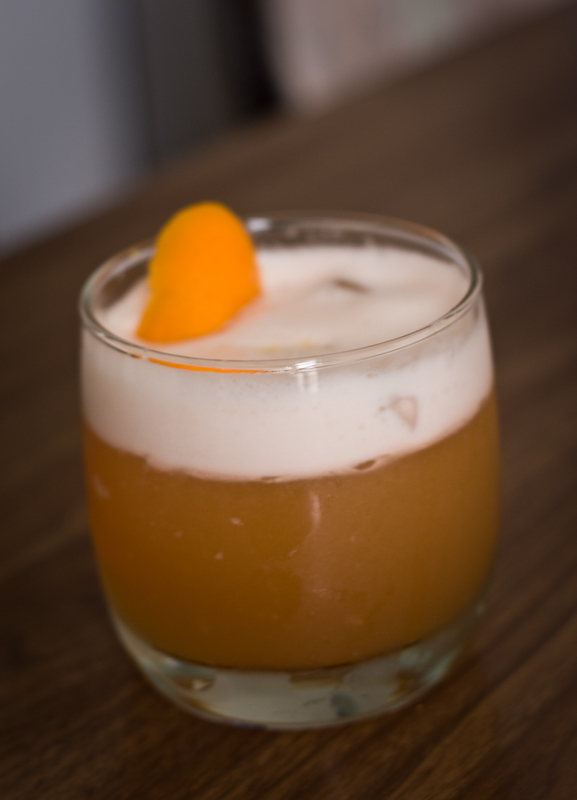 This classic cocktail was created from New Orleans and has a long history. This was a very popular drink back in the late 1800’s and early 1900’s. For more details, check it out at Wikipedia. I hear that the original recipe calls for 12 minutes of shaking! This is not the simplest drink to make at first. I suggest you try it out at Pourhouse and watch them make it. They make a great Ramos Gin Fizz. Definitely a drink worth trying in your life. Shake with ice and strain into a cocktail glass . This cocktail is great as a dessert drink. It’s quite sweet. Remember those ice cream sandwiches with mint flavoured ice cream? This taste exactly like it. Also, if you’d like to try something special. Try adding a little bit of Frangelico for a delicious hazelnut touch. 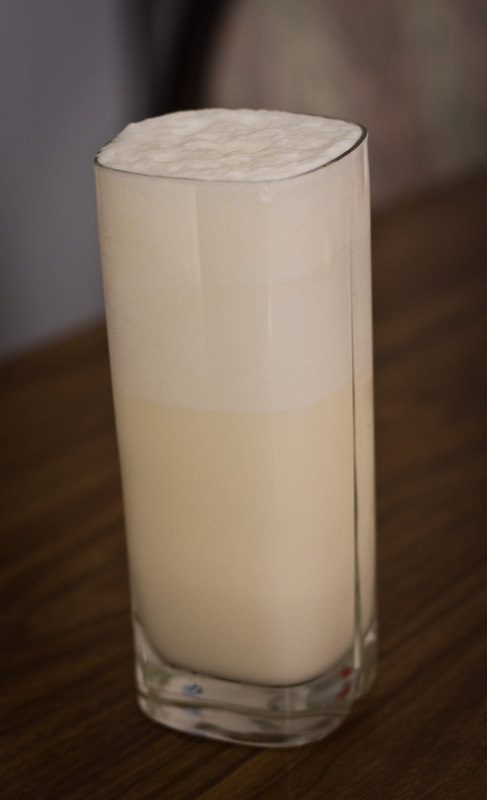 Do a vigorous dry shake to emulsify the egg white. Add ice and reshake. Strain into old fashion glass. Garnish with a Griottine cherry and zest of orange. Same steps as before except you will need to double strain because of the fresh lemon juice. There will be lemon pulp which should be filtered from the drink.